If you don’t already know about SHOWstudio – Nick Knight’s innovative platform for all things Fashion Intelligent, then subscribe now because it means you missed the film I made with them about the work we are doing. (And all the other great debates)! 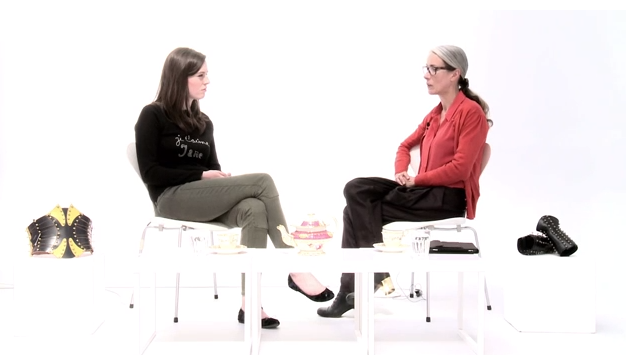 Lou Stoppard, Fashion Director at SHOWstudio and indeed Nick Knight are supporters of All walks Beyond the Catwalk and asked me to talk about the nature of prosthetics and disability recently. We know this area is increasingly important for some of you to bring in to your practice, because you told us in your entries to our recent Diversity NOW! competition. Have a look at work that students of Diversity NOW! are doing here.